I admit it, my boys just love television, especially my little one! At the young ago of almost two he has developed a very deep love of certain shows, including Chuggington. I guess he is falling into big brothers train loving footsteps! Two new episodes from Chuggington and Tickety Toc have just been released on 10/14! I love the values that Chuggington teaches my boys, and this episode is no different! It teaches sportsmanship and working together, and it is just fun to watch. 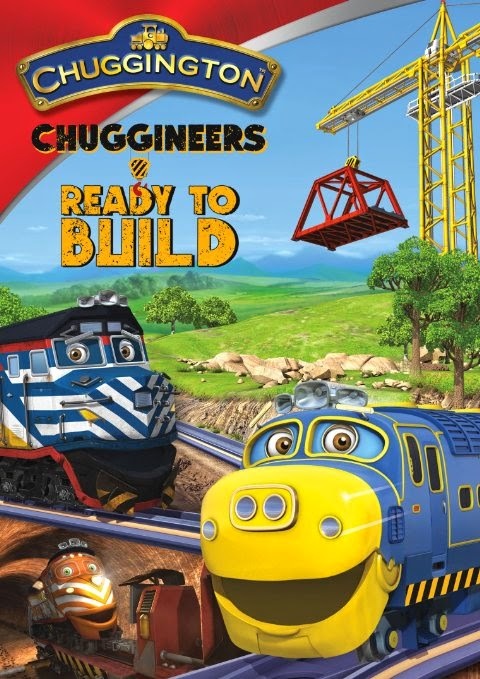 Chuggington offers bright colors and lots of action to keep the littlest watching interested, but enough of a story line for the older kids to find it interesting and humorous! In the words of my oldest (he's 7) this movie is "awesome!" It has a catchy toon that is stuck in my brain and both of my boys enjoy it very much. What my youngest son liked more than the movie I (I think) is the little book that came included in the DVD we received! He is CONSTANTLY bringing that book to me to read it to him, and he is not very big into being read to! He just loves Tommy and Tallulah and all of the fun adventures that they find themselves in! This is one movie that we have watched over and over since it came in!